HMRC has announced a new initiative to bring taxpayers online. The idea is to try and make the management of tax easier and more efficient. The rollout begins on 1 April when Making Tax Digital (MTD) will come into effect for businesses that are VAT-registered above the £85k threshold. These businesses will then need to use MTD compatible software to record their VAT and file their returns online. If you would like to talk about moving to a compatible cloud based software, please do let us know. We can advise on the best software for your needs including Sage Business Cloud and Xero. What if I’m not above the threshold? 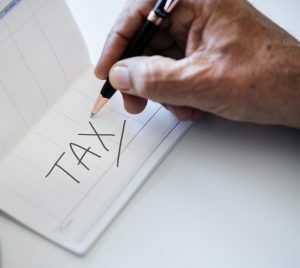 HMRC have published a notice which includes examples for businesses over, close to and below the threshold to indicate when they need to become complient. The below examples are an excerpt from this notice. A business that is not registered for VAT is required to register from September 2019 because the taxable turnover over the previous 12 months has exceeded the VAT registration threshold. The business must follow the rules in this notice for all VAT returns that it is subsequently required to make as its taxable turnover was above the VAT threshold when it was required to register.